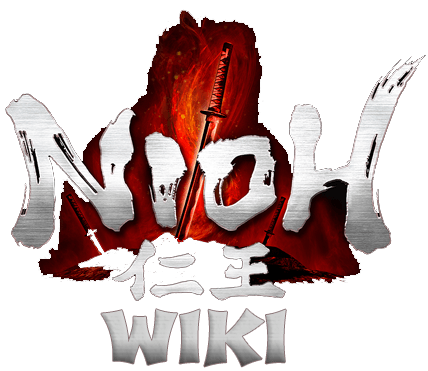 Nioh Wiki will guide you with all the information on weapons, stats, quests, enemies, bosses, items, equipment and more! All Nioh News in one convenient link! Ni-Oh (仁王?, lit. "benevolent king") is an upcoming historical action role-playing game being developed by Team Ninja, to be published by Koei Tecmo exclusively for the PlayStation 4. Blending concepts of Ninja Gaiden with Dark Souls, nioh focuses on fast and precise combat. Ni-Oh is set during the samurai era and developer Team Ninja wants players to feel what it’s like to be a samurai. why are normal guards oneshooting me in the last dlc when it is meant to be played right after the 2nd one in which one I had no problems whatsoever? How am I supposed to proceed here? Play further in NG+? Get better gear to return to this mission? Running a standart Red Demon build. I liked Nioh but I didn&apos;t find it as enjoyable as Dark Souls. The way Dark Souls immerses you into its lore and world was the main draw for me, so being pulled out of it made Nioh a little less enjoyable. The whole amrita system is ripped straight out of Dark Souls but I don&apos;t think it should be. As it is, it doesn&apos;t fit the narrative and is the main offender that pulls me out of the experience. Die twice and all your amrita disappears doesn&apos;t make sense when there aren&apos;t many creatures actively gathering or even have the ability to gather the stuff. I could be wrong but the way I understood the story, you need a spirit animal to collect amrita. So instead of it all disappearing when you die twice, why not give the player a choice when they die. At the shrine you respawn at, give the player the option to pray for the spirits return, thus sacrificing the collected amrita it&apos;s protecting but giving them access to their spirit powers or trekking back to their spot of death. However, while on that trek, not only do they not have access to their spirit powers, they also can&apos;t collect amrita. You could also tie the ki pulse and other actions like magic to the spirit as well, giving the player a sense of how important the spirit is and how dangerous creatures like Oni are without their spirit. I has complete all main mission wots . But wotd is not unlocked . Status is filled . Complete queen eye too . This game is definetely different and not in the least a dark souls clone! I would rather compare it to Onimusha 4 (Dawn of Dreams) and Ninja Gaiden. Hey guys how do I keep count on the number of arrows or ammunition I have in the game ? I died at the crab boss. It&apos;s Bloodborne meets Diablo. Cool stuff. This wiki needs more information please. I have to say this. The bold font that is used needs to be replaced. Seriously. as a designer, it is displeasing to the eyes and makes the wiki look incredibly amateurish. I understand the reasoning with the theme, but it&apos;s just a bad font. Stick with something more standard. That kind of font is only meant for some sort of logo, not for an informative format like a wiki. Does somone know when the dlc will be out? I can&apos;t believe you guys got so much from the alpha Thank you!